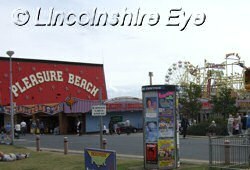 In many ways Skegness is everything that most of the rest of Lincolnshire is not: it's loud, brash, candy-coloured and fun-loving, and quite a contrast to the county's peaceful countryside and its historic market towns. 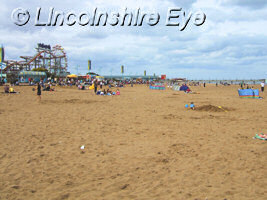 The best time to visit is during the annual Skegness Carnival, which usually takes place in August. During the tourist season the population of Skegness swells to several times its usual size. 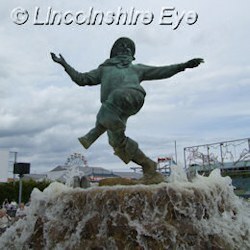 In 1936 Billy Butlin established the first one of his famous chain of holiday camps at Skegness. 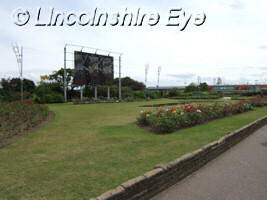 Butlins is now one of Lincolnshire's major employers. Other attractions include the Embassy Theatre and the Natureland Seal Sanctuary. The Jolly Fisherman has been the town's mascot since 1908, when John Hassall drew the character for a poster. 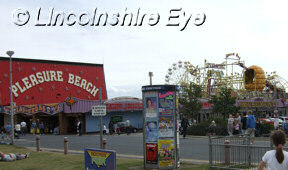 An indoor theme park in Ingoldmells near Skegness, offering rides and events. 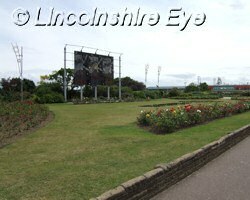 A seal sanctuary and visitor attraction in Skegness. There are details of the animals and features of the sanctuary, as well as news and information about seal rescue. 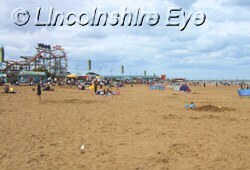 For four days in July Skegness celebrated street theatre, art, dance and culture.